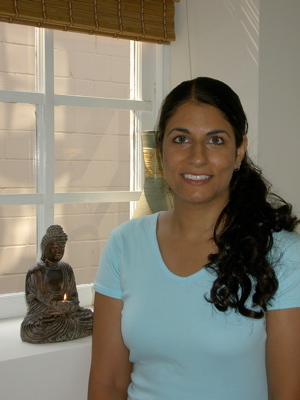 Gurneet Singh is a registered Acupuncturist in the state of PA and is nationally certified and designated as a Diplomate of Acupuncture by NCCAOM. She attended the University of Pennsylvania, where she received her B.A. in Biomedical Anthropology. Through this major, she was able to learn about the medical systems of different cultures. She completed her Master of Science degree in Acupuncture and Doctorate degree in Naturopathic medicine at Bastyr University, one of the world's leading academic centers in natural health and medicine. While at Bastyr, she did additional training in craniosacral therapy, visceral manipulation, polarity therapy and interned with several reputable physicians to learn more about the uses of Ayurvedic medicine clinically. She also completed an external clinical shift completing the National Acupuncture Detoxification Association training program at Lincoln Hospital in the Bronx, NY learning about how to apply acupuncture to assist with addiction. She has also done additional training in Acupuncture facial rejuvenation and Japanese style Acupuncture. In addition to her private practice, Gurneet is a staff acupuncturist at the Cancer Treatment Centers of America, Eastern Regional Medical Center. She has also assisted in alternative medicine research at the University of Pennsylvania Medical School. She is an active member of the Association for Professional Acupuncture in Pennsylvania. Gurneet believes in establishing an empowering partnership with you in which you can work together in establishing health and well-being. She addresses all aspects of your being-physical, mental, emotional, and spiritual. She has a very gentle and respectful approach in treatment and works diligently to assist and educate you in achieving your health goals.